Writers are Passionate, Especially When Their Work Has Been Stolen! As writers, we tend to be passionate people, and we are definitely passionate about our writing. We pour ourselves into our writing and put it up for display hoping that someone else will find value in it. Sometimes we do such a good job of this, others cannot overcome an irresistible urge to copy our work. When this happens, passionate people that we are, we want something to be done about it immediately if not sooner. In fact, yesterday was not soon enough! Too many times, we do not discover that this has occurred, and we go along our ignorant and merry way never realizing that we are losing traffic to an article that we wrote which was plagiarized by someone else as their own. Although we are ignorant and happy, this stinks! Other times we find out about it, and do what we need to do to get the content removed from the internet. This is a time consuming and tedious process, and frustrating when you find out about it months after the fact. I want to propose a way that may not stop someone from plagiarizing your work, but will let you know about it immediately. This will allow you to take action immediately, and it will make the thief who stole your content think twice before doing it again. With Google Alerts, you define what you want Google to be on the lookout for. When it finds something matching the search parameters you have defined, an email is sent to you “alerting” you to the new material it has located. Google Alerts can be used for multiple purposes, but I want to address only how it can be used to let you know when someone has plagiarized your work. Google Alerts are powerful, and the first time that you are alerted to the fact that someone has stolen your writing, you will realize just how powerful! If you are setting up your Google Alert system for a hub that has been previously published, you will want to run your article’s URL through Copyscape Plagiarism Checker to ensure that no one has copied it already. It does not take long for someone to take your work. I know someone who found her work had been plagiarized the day after she published it! This is what the Copyscape screen looks like. If you are only entering a URL, the service is free. Make sure that you include the "http://" or the search won't work. Then you are ready to set up your Google Alert for that hub. Fortunately it is super easy! What I suggest you do is to set up two alerts for each article. First set up an alert for the title, and second choose an important sentence or group of words out of the middle of your written article. Cut and paste that sentence or group of words into your Google Alert making sure to place it in quotes. If you want an exact match, be sure to enclose your text between quotation marks. Click here to do this now and you will see the screen image depicted below. Search Query - The sentence or group of words that you have chosen your alert to notify you about is pasted or typed into this text entry box. Result type - I would recommend that you select "Everything." Your choices are news, video, blogs or everything. 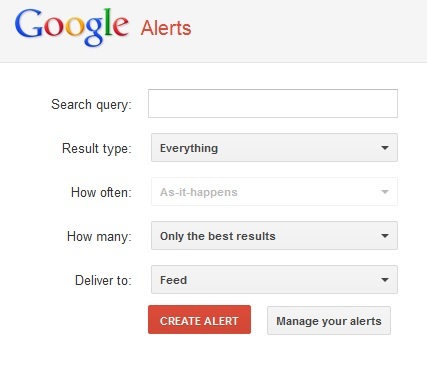 How often do you want to receive the alerts? I am receiving mine once a day. How Many - Do you want to receive everything or just the best results? I would recommend everything, especially if you are selecting a sentence. Google should not find your exact sentence, unless you take the hub down and publish it elsewhere. Deliver to - Where do you want your results delivered - on a feed or by email. I am using email. After entering all this information, most of it will default after your first entry, click on the CREATE ALERT button. That's it. 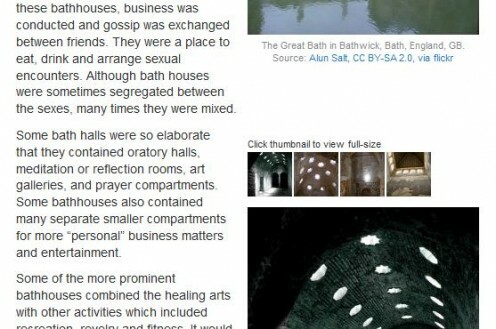 If someone publishes your article on the web with the sentence or group of words you have chosen, you will be notified. It really is that easy. I have heard some concern expressed that if we changed the wording of the sentence or group of words later, it might mess up our alert and we would have lost our search feature for our alerts. This is true, so I suggest . . .
. . . that a text capsule be created such as the one shown above. This capsule will not be visible unless the hub is being edited as long as the box indicating, "Don't display this capsule" has been checked. When this box is checked, the word "text" located in the upper left corner of the text capsule will have a line through it as shown. This capsule should be visibly close to the text that you are using for your Google Alert; therefore, if you change the text, you also know that you need to go to your alerts and change it as well. The screen shot above shows you an example of this. The text in the hub is boxed above, and the alert text capsule for our use only is in close proximity to the text. Notice the line through the word "text" in the text capsule. Again this tells you that when you view the saved hub this capsule will not be seen. The image below is what is seen in the published hub. If you find that your work has been stolen, file a DMCA report. Click here for the form. This hub was written in response to the question: What can Google Alerts be used for? Google Alerts: What are they and What Can They be Used For? Comments: "Protecting your Written Work Using Google Alerts"
Thanks so much. That is a great tip. Thanks for the update. You could probably just put a notice at the top like "Google Alerts may currently be broken, but if you wish to test them out anyway, here is how". You never know, google might fix them eventually. I haven't gotten any in a while. I have heard the same thing. It has been a while since I have written this. I need to check and perhaps delete this hub. Thanks. Are google alerts still working? I've been reading lots of blogs and articles that say they aren't. Are you still getting alerts, and are they catching everything? Ceres - both of those questions are very subjective. When picking a phrase or sentence, I might look for something that someone would likely not change if they were going to rewrite the material a bit. Otherwise, it really is up to you. If they copy your work word for word, it really does not matter what you select ... it will be found. This is a very informative hub on using Google Alerts to protect your written work. 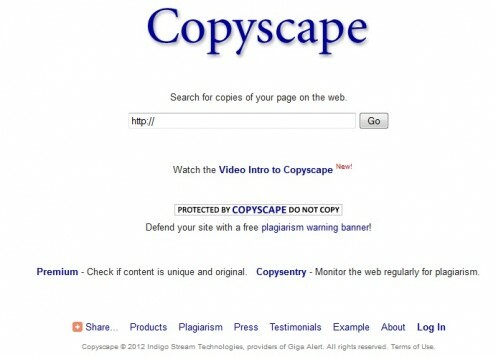 This is very useful for those that write online and want to make sure that their work won't be copied and plagiarized. It looks like it's really easy to use Google Alerts. How would you determine which sentence, in the middle of your hub, you should use for the alert? How can you determine which sentence is important? rosika - Here is a double dose of thanks! I am so glad that this is able to help you. Thanks so much for stopping by! I wish I had known this technique earlier, because I have so many to do this on! But I am slowly working through my list. Have to stop the theft! Sorry! I forgot to write: "bookmarked" as well...hehe! Just about few minutes ago, I found a hub alerting us about content thieves that left me with the question "how to deal with it".....And here I found the answer!...woohoooo... !Thank you very much! No fear! I will not give up writing! I have just started writing and this article will help me continue without fear. Voted up, useful, interesting, and your writing is 'awesome'! DzyMsLizzy - I have not been good about getting all mine put into this system myself. it is a good system, and you are right, it does take time away from that which we love - writing. But it has to be done, and I am gradually working my way through my hubs. And it is not the most fun! JammaGenee - The ones they grabbed from me were in my 30/30 hubs and I was too rushed to take advantage of my own advice. I guess I too learned something the hard way. Wish I'd read this and added alerts for all my hubs before That Site Whose Name We Will Not Mention went on its scraping frenzy. But now that I know what to do and how to do it, I'll be taking the proper precautions will past and future hubs. Thanks! That said, If we have to run each and every one of our hubs through this process individually, now that I've reached 200 hubs...UGH!! What a horribly time-consuming chore! If only there were some way to make the check simply apply to our entire HP subdomain, so that it would continually monitor ALL of our HP writing. I suppose, though, in the meantime, I'd better get on it. ... ... :-( Not looking forward to going through all that...but one must do what one must do. Thanks for sharing this important information....voted up, useful, interesting and shared. Nell Rose - It really does work. Too bad the 30/30 had prevented me from loading those in, or I may have noticed earlier. I think we all need to do this. Thanks so much! Hi, this is great info, considering what is happening at the moment, I will bookmark it to my pc, so that I can come back and go through the hub again and follow the links, great work! thanks! Thanks so much MartieCoetser! I really appreciate it. I really have not done that much, but I appreciate your appreciation. Thanks for stopping by! Augustine - You are quite welcome! LaThing - At this particular time in our hubpages journey we do need to get this in place. I am still working on mine. There are so many more fun things to do than this! Les Trois Chenes - I hope your to-do list is not as long as mine. I cannot see the bottom of mine. jainsimus - I am pleased that you thought this to be useful! markbennis - I am very happy that you found this to be a fantastic idea. i hope it works for you. uzma shaheen - I hope you find it to be as beneficial as I have. Phil Plasma - So glad I could help you. I wish we could stop these guys dead in their tracks. 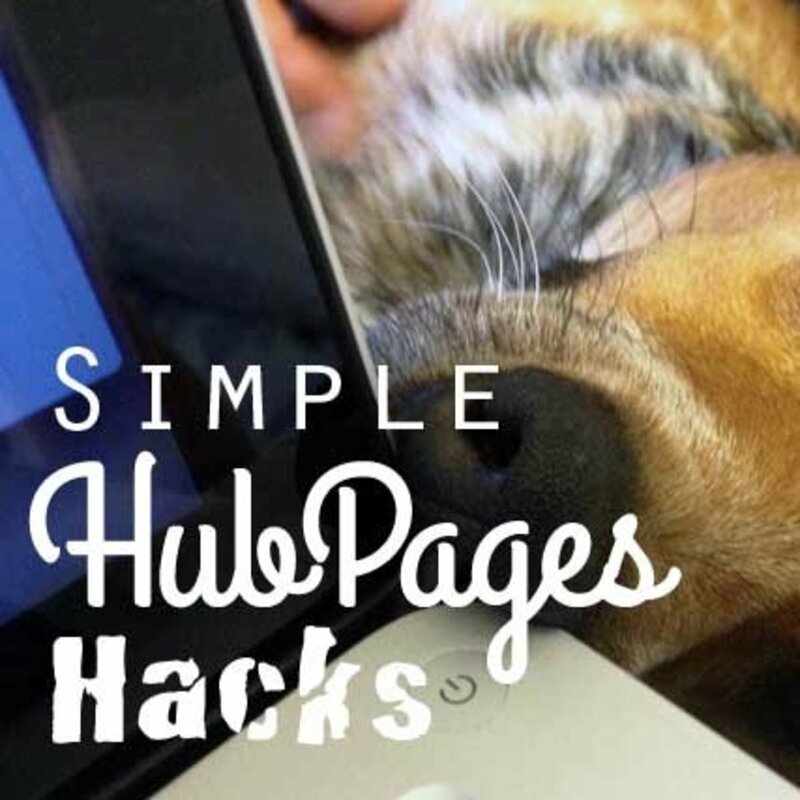 internetgeek - I hope you are able to get all your hubs plugged into this system. Thanks to all of you for stopping by and sharing your thoughts! Thanks so much for posting this - I will definitely use this to check if any other of my hubs have been copied. very useful information you shared,thank you very much.i am going to use it.voting up and sharing it. This is a fantastic Hub and a very amicable one for the online writer who really puts so much work into their articles, it’s a shame that these thief’s can get away with it. Well written, informative and useful Hub. Voted up and shared. Thanks for the informaion. One more thing to put on the 'to do' list! Thanks, this is a very useful hub. And thanks for sharing it again, we needed this! Will try this out. Sunnie Day - I look forward to the day that I finally have all my hubs entered into the alert system. I hope it helps you as well . Talullah - I am glad you enjoyed it. sholland10 - I have also started adding the Title of the hub to my searches as well. Hope it helps you. Sinea Pies - Hope this helps you! susanm23b - I am still working on getting all of mine plugged into the system. Thanks all of your for stopping by! I really appreciate it! I am printing this out for my hubs..Great help! This is very useful and interesting information! Thanks so much for getting the word out about this. I plan to check into this for my hubs. Voted up! This is such great information to have. I am bookmarking it for future reference. Voted up and useful! Sunshine625 - This is another great way to use Google Alerts and to make yourself feel good at the same time. It would add some sunshine to my day! Dee aka Nonna - I am glad that you were able to learn from the hub as well as the comments. We have so many wonderful hubbers who are willing to share their knowledge. That is one of the things I so love about HubPages. This is wonderful information. I found out so much, not only from your hub, but from some of the comments. Things I did not know. Thank you for sharing this. Voted up. Hiya HSB! I actually like receiving Google Alerts, I receive a few alerts a week...I get them mostly for my real name or my hub name, sometimes for a hub title. It tells me that someone is Googling me and thinking about me. A new fan. Awww. Or a new stalker. Ewwww. Fab hub!!! Sharyn - so glad you enjoyed this. I need to finish doing all my hubs. Now I have a little more time with the 30/30 done. thanks so much for stopping by! Excellent hub Cindy! I really hate the thought of someone stealing my work, but it is a reality and we must be careful. Thank you for this information. Extremely useful - voted and shared! iamaudraleigh - I am pleased that it worked for you. Thanks so much for letting me know. Now I need to finish getting all of mine plugged in. Cindy, I just tried this!!! Worked great!!! Thank you for the info!!! Deborah - Glad to be able to help. yes it is a good practice. Thanks! Great hub. I started setting up Google alerts for some of my higher-traffic hubs, but this is a good reminder to set one up every time I publish a new hub. thanks for sharing this useful information. JayeWisdom - I am pleased you found the hub interesting and applicable. DonnaCosmato - I agree. Sometimes the government doesn't take time to think things through when they make changes. Those changes often hurts those they are supposed to protect more than who they are being protected from. Thanks to both of you for stopping by and commenting! Great information and such an easy tutorial to follow! It's frustrating to have to be such watchdogs but it beats any type of governmental controls, regulations or restrictions. I am glad that you feel this procedure will serve your purposes. Thank you for providing this interesting hub. I will put the information to use immediately! Excellent how-to directions. thebookmom, Danette Watt, Marcy Goodfleisch, Anamika S, Jackie Lynnley, Rusticliving, onlooker, mistyhorizon2003, and cabmgmnt. I am glad that you found this hub to be valuable and useful. Thanks so much for stopping by and commenting! PurvisBobbi44 - I have been using this for about a month now. It has found several instances of plagiarism that I have been able to rectify. I still do not have all of my hubs plugged into this system, but I am slowly getting there. I guess we do each have to decide on the value of a system and whether it works for us. When you were setting up your alerts were you using an exact match or similar content? This could have an impact on your results. prairieprincess - I am glad that I was able to share this new application of Google alerts with you. Thanks so much! cclitgirl - LOL - I will take all the hugs I can get. Glad to help! Natashalh - I am glad that I was able to give you this information while you are new here. I have just recently discovered this technique and have not been able to incorporate all of my work into this system. It will be easy for you to incorporate now. Good luck with your writing on HubPages and welcome to this awesome community of writers. cclitgirl - I am so glad that this hub helped you find your content elsewhere. I am sad that it found that your content had been stolen. This is why using the system is so important. I thank all of you for stopping by and taking the time to comment. I really do appreciate it!!! I have shared this as it is a valuable hub for all writers. Thank you. Because I am so new at this, I am still so naive when it comes to protecting my work. Thank you so much for sharing this important information. Everyone who writes and publishes their work should read this! Voted up and shared! Thank you so so much, this is great, I am sure you will have many of us returning here! Voted Up/over. Awesome Hub! It is very important for writers to protect their work from thieves. Good ideas! Voted up and shared! This hub is golden! I've used alerts for other purposes, but what a great idea - to use it to track plagiarism. Thanks for publishing this information. Voted up, interesting and useful, and shared with my followers. Very useful information - thanks for sharing your knowledge on the subject and writing this hub. Thelma Alberts - I am happy that you have found this information to be useful. billybuc - I hope once you start going through this it won't be so difficult that you have to slog through it - more than once anyway. Hopefully it gets easier after that! grandmapearl - this is a great way to protect your work, although it does not cover your article 100%. If you have the time, you could even choose a couple key phrases and make it even more safe. Thanks so much! Angie Jardine - I am so much. I am glad that you found this to be useful. peoplepower73 - Thanks so much. I appreciate you stopping by! Thanks to all of your for taking time to stop by, read and comment! Wow, so helpful! Thanks so much for the detailed directions and the pictures, they helped me understand and feel confident using this tool. So good! Alastar Packer - I am happy that you found this hub worthy for bookmarking. Thanks so much! Hi, how long have you used this system? I tried it and it did a limited amount of urls, and then on one of my poems it showed words that were highlighted on other hubbers hubs. I am sure it can be a great tool, but one would have to judge the results for themselves. Could you comment on this for me. Flickr - I am pleased that you found this information important enough to be shared. Cindy, this is an excellent idea! I do use Google Alerts to check my user name and my real name but I had not thought of doing it for actual snippets from articles. Great hub! Thank you so very much. I'm still pretty new here, but I had recently started to wonder "what if...? and "what do I do about that?" Your hub answered my questions. Bookmarked for reference, and voted up as well as useful and awesome. I could HUG you. I just used copyscape to look for content from one of my hubs and found TWO other sites with MY content on them. Grrr. Signing up for Google alerts NOW. Voting up, bookmarking and SHARING. You are so right, the girls! We have invested ourselves in our writing and it is only right that that should be recognized and credit given where credit is due. Google alerts are an excellent method of allowing ourselves to protect our work. Thanks so much! This is fascinating information ~ so useful to those of us who really work hard on creating informative, original material. Bookmarked and shared! Great info, Cindy. I'm always learning a great deal from you. Keep up the good work! Very important Hub! Voted up and SHARED! AudreyHowitt - Thanks so much! homesteadbound, thank you so much for this much needed hub and help. Good day to you! I wonder if any of my work has been stolen? It seems to be a common occurance; obviously I've had my head stuck in the sand too long! Thanks for a great hub! I'll definitely be checking out Google alerts! Voted up and useful. This is really useful information. I’ve been lucky to avoid this so far, but that could be because my writing hasn’t had a huge lot of exposure and as my views are now growing it’s time I got to know about this, so your hub is timely for me. Thanks for this hub. Up and sharing. This is a great hub. I'm bookmarking it. Thanks for SHARING. Up and useful. This is extremely useful info. homesteadbound. I'll slog through it and see if I can figure it out, but only because you suggested it. Thanks and thumbs up! Thanks for this great information. I have to bookmark this. Thanks for SHARING. Excellent needed info. Well presented and bookmarked. Great article, very important information. Thank you for sharing. Voted up and socially shared. YogaKat - yes, google alerts is something that every hubber should be using. Thank you for writing this informative hub. Protecting our original work is important. Credit should be given where credit is due. We have invested our time and ourselves into it, writing the best compositions we can deliver to the readers. Very useful information! Thank you! Am bookmarking and sharing! I've had content stolen many a time. Thank you for info on an alert every hubber should consider.